Provost Forrest Maltzman said the programs will target working individuals who want to learn additional skills in their industries – a new domain for the University. Updated: Nov. 15, 2018 at 8:18 p.m.
GW is trying to help professionals get back into the classroom with 10 new online programs, officials said. Officials announced last week that they will once again partner with the online learning company 2U – which already produces online courses for the public health school – to create 10 noncredit classes for professionals looking to hone their skills in areas like health care management or risk analysis. Provost Forrest Maltzman said the programs will target working individuals who want to learn additional skills in their industries – a new domain for the University. 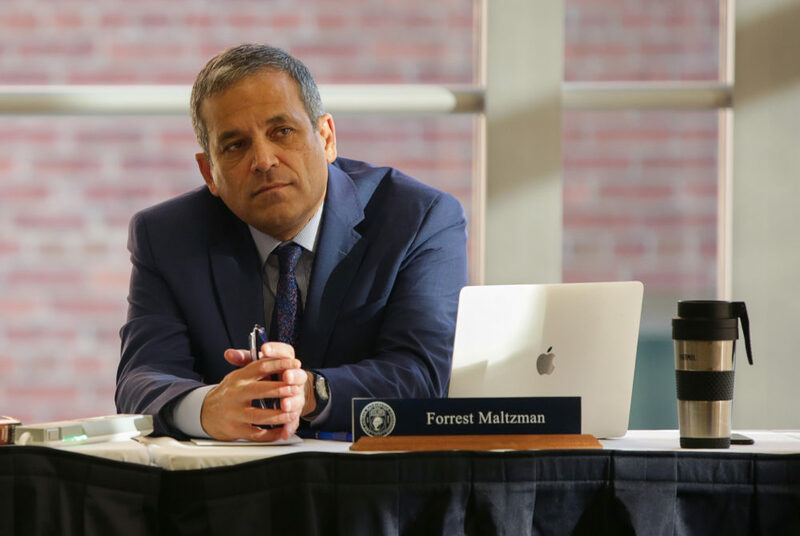 “As higher education changes, it is important for the university to continue to experiment, innovate and try new things,” Maltzman said in an email. He said the courses, which will take about six to eight weeks to complete, are designed specifically for people who want to boost “industry-relevant skills for an increasingly complex business environment.” He said officials decided to partner with 2U because the company is more experienced in recruiting and marketing to students who are not trying to obtain a degree. He added that 2U “has a well-earned reputation and relentless drive to innovate” and create classes for students across the nation. “It’s why they have been a great partner since 2012 and why we’re teaming up again to offer more options for lifelong learners,” Maltzman said. GW’s online programs made up about 10 percent of its revenue stream last year. Two online programs were phased out this semester to focus on the University’s goal of developing smaller courses that boost GW’s revenue. 2UGrad President Andrew Hermalyn, who could not be reached for comment, said in last week’s release that the courses add to GW’s commitment to innovate education and learning methods. “This new suite of short courses will be designed to meet the unique needs of today’s working professional and provide learners with new opportunities to differentiate themselves in the global marketplace,” he said. Online learning experts said programs that are easily accessible to people in the workforce are now in high demand because lifelong learning is expected in today’s fast-paced job market. Kristin Palmer, the director of online learning at the University of Virginia, said technology is developing at a rapid pace, and employers are expecting employees to keep up, which they can do by learning specific skills in quick courses. “Pretty much any degree you get, there’s going to be continuing education, or just in general many people are suggesting that people graduating today are going to have more careers than their parents did and their grandparents, and so you’re going to be constantly learning,” she said. She said that shorter courses enable students to learn very specific skills in a “digestible” format. She added that courses in industries like medicine and information technology are the most in-demand now and are seeing the most growth. Josh Kim, the director of digital learning initiatives at Dartmouth College, said GW can reach learners across the globe at a cheaper cost because the programs only take a little more than a month to complete. He added that revenue from the classes can supplement the University’s budget because they are less costly than traditional courses. Garrett Garberich, Anthony Thomas and Siena Rich contributed reporting. The Hatchet incorrectly reported that 2UGrad President Andrew Hermalyn did not return multiple requests for comment. He could not be reached for comment through a spokeswoman. We regret this error.